It’s been a while since my last post but not because things have been quiet. Training for the Tour has taken a back seat to getting a myriad of other tasks completed before leaving for Vancouver. Most important has been finishing the reno of the family room. 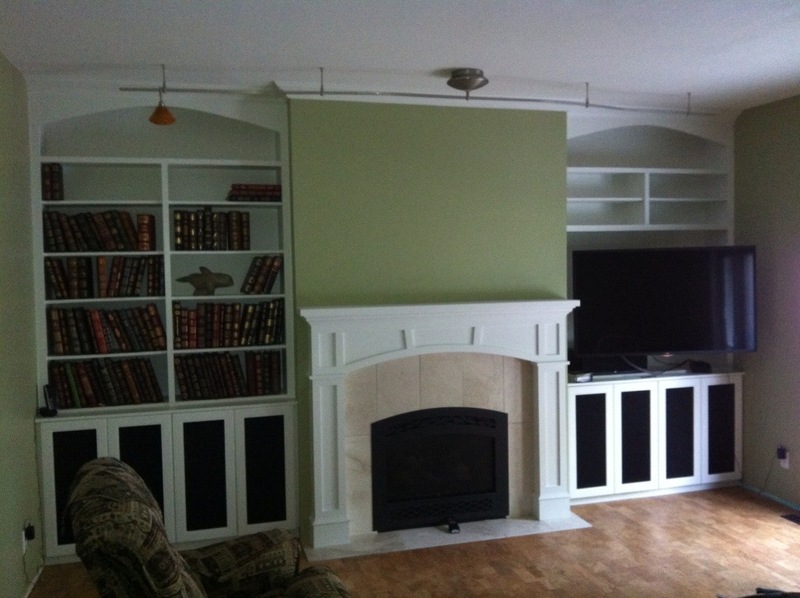 Over the past couple of weeks the bookshelves, fireplace mantel, flooring and track lighting have been installed. Next week I will get the baseboard installed and with that the room will be completed. The garden still needs some work – another task for next week. This weekend is the MS BikeTour. Tomorrow we ride from Nisku to Camrose where they have a big banquet and party tomorrow night. Overnight we stay in the dorms at the Augustana Campus. On Sunday we return to Nisku. The total distance over the two days is about 190 km. A week from Sunday we leave for Vancouver. One week to finish the family room, get the garden in order, and make final preparations and packing for the Tour du Canada. This entry was posted in Uncategorized and tagged renovations, training. Bookmark the permalink.